The selection of Cotswolds Bed and Breakfasts accomodation attest to the warm hospitality of the English people, the cosy atmosphere of a second home, and the beauty of the Heart of England. Many of these accommodations are converted homes, barns and other farm structures dating back hundreds of years although most are private homes. This explains the sense of time stopping in its tracks and, in the process, provides peace and quiet to a harried and hurried modern world. Indeed, if you are on a budget but you still want to savour the beauty of the Cotswolds, the following Cotswolds Bed and Breakfasts are your best choices in accommodation. Keep in mind that many Cotswolds Bed and Breakfasts usually only offer breakfast with no other meals to fewer than 10 persons at a time. It thus becomes necessary to book ahead of time to avoid inconvenience. Yes, the price for a night’s stay in Abbots Grange may be mid-range but special offers make it more affordable to budget travellers. The facilities and amenities offered by the B&B in addition to its spectacular views of the Cotswold countryside make this one of the most popular in the area. With its romantic setting, many honeymooners and lovers find their way to Abbots Grange. With Egyptian cotton sheets on modern four-poster beds, elegant seating areas and flat screen televisions, it’s no wonder that Abbots Grange is rated as one of the best Cotswold Bed and Breakfasts. The menu provides a delicious affair with fresh local ingredients including seasonal fruits, sausages and smoked bacon with eggs. Vegetarian breakfasts are also available. The Adelphi Guesthouse is a late Victorian townhouse converted into a modern and yet cosy Bed and Breakfast. Its six bedrooms have elegant décor coupled with modern appliances including televisions, hair dryers and ironing facilities. Courtesy refreshment trays are delivered to the rooms upon arrival of guests. Free Wi-Fi is also available for Netizens. The Avon Reflections is located just on the edge of the green. Pubs serving delicious meals are just a few minutes’ walk away, thus, ensuring good food, good drinks and good company at virtually all hours of the day. Activities around it include canoeing, river cruises and boat trips. Amenities offered are iPod, television, and Wi-Fi along with tea and coffee facilities. Breakfast is a choice between English and Continental menu, both of which are definitely delectable and filling. 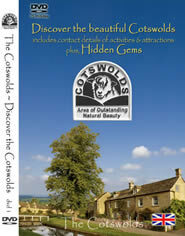 There are many more Cotswold Bed and Breakfasts, of course. Just look online and you are sure to find one that suits your budget and needs for comfort, convenience and charm in a great English bed and breakfast. A 300 year old building conveniently located in the centre of the village overlooking the village green and the River Windrush, this is a reasonably priced B & B. You will be greeted by warm and welcoming hosts, comfortable accommodation and delicious food.